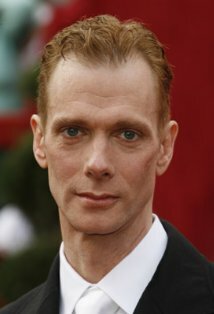 The youngest of four brothers, Doug Jones was born on the 24th May, 1960, in Indianapolis, Indiana, and grew up in the city's Northeastside. After attending Bishop Chatard High School, he headed off to Ball State University, where he graduated in 1982 with a Bachelor's degree in Telecommunications, with a minor in Theatre.He learned mime at school, joining a troupe and doing the whole white-face thing, and has also worked as a contortionist.After a hitch in theater in Indiana, he moved to Los Angeles in 1985, and has not been out of work since - he's acted in over 25 films, many television series (Including the award-winning "Buffy the Vampire Slayer" (1997), his episode 'Hush' garnered two Emmy nominations) and over 90 commercials and music videos with the likes of Madonna and Marilyn Manson.Although known mostly for his work under prosthetics, he has also performed as 'himself' in such highly-rated films as Adaptation. (2002) with Nicolas Cage and indie projects such as Phil Donlon's A Series of Small Things (2005).But it is his sensitive and elegant performance as 'Abe Sapien' in Hellboy (2004), which stormed to the top of the U.S. box office in the spring of 2004, that has brought him an even higher profile and much praise from audiences and critics alike.Doug is married and lives in California.